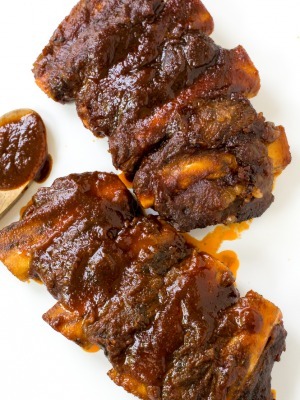 Bourbon Barbecue Sauce. Sweet, tangy and a full of flavor. Incredibly easy to make and requires one pot! It’s not even summer yet and I’m already in BBQ mode. I’ve been thinking of a million and one ways to use this barbecue sauce. I guess that’s what a freezing cold winter will do to a person. 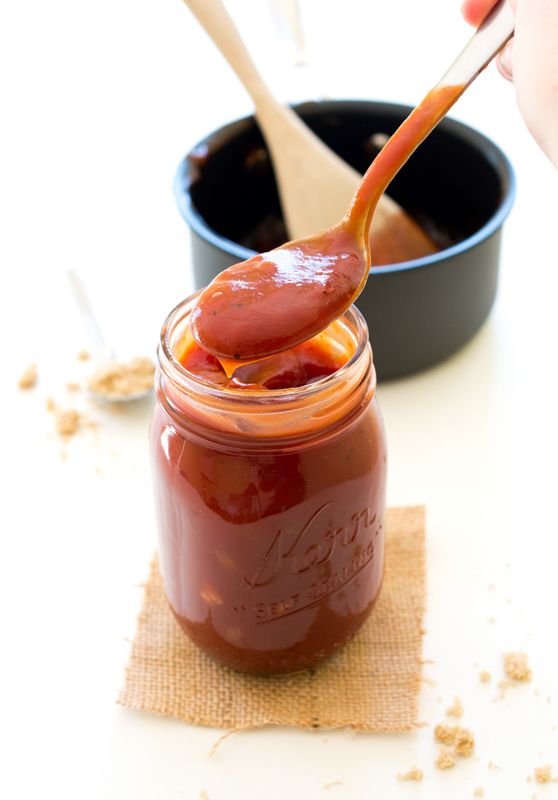 Making your own barbecue sauce at home is super easy. It doesn’t require much effort and you can customize it to your liking. This barbecue sauce is on the sweeter side. You can always spice it up by adding some cayenne pepper and paprika. I am a major condiment lover. I love to dunk and dip everything in sauces. But I have never tried making one of my favorite condiments at home, barbecue sauce. This barbecue sauce couldn’t be simpler. One pot and less than 20 minutes of cooking time. Throw all of the ingredients into a saucepan and let it simmer. Best of all you should have all of the ingredients for this sauce already in your pantry. 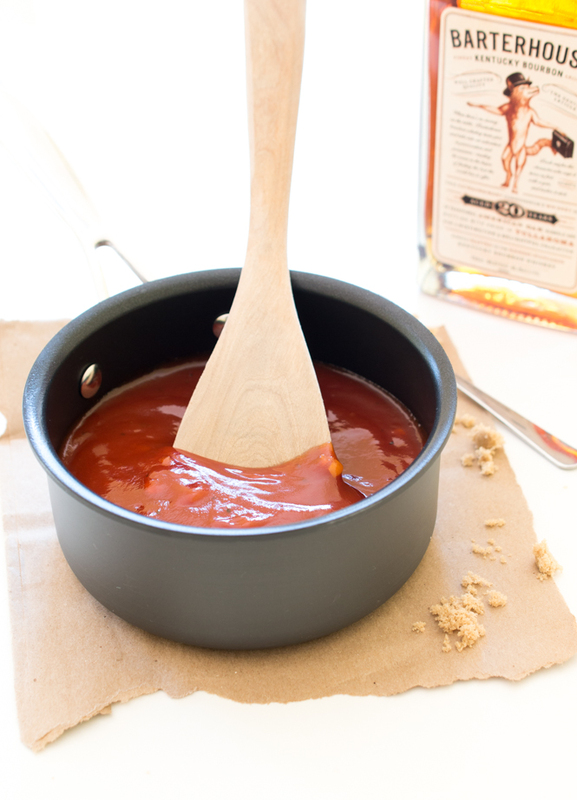 You can use your favorite bourbon in this barbecue sauce. I used Barterhouse Kentucky Bourbon. This bourbon is smooth and buttery with hints of brown sugar. It pairs perfectly with the sauce. The barbecue sauce starts with onion and garlic sauteed in a bit of oil. Ketchup, Worcestershire sauce, apple cider vinegar, brown sugar and of course bourbon are added. This sauce has the perfect combination of sweet, tart, smoky and savory. Make a large batch and keep it in the fridge for up to 4 weeks or freeze any leftovers. Serve this sauce on wings, sandwiches, fries, or chicken tenders. Add in onion and cook for 2-3 minute. Stir in the rest of the ingredients and bring to a simmer. Simmer for 15 minutes. Serve with sandwiches, wings, or as a dipping sauce. Store in the fridge for up to a month or freeze for up to 6 months. So funny, I was JUST thinking about trying to make bbq sauce! 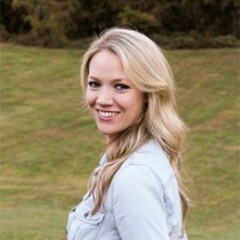 This looks really great Kelley, love the photos! This barbecue sauce sounds perfect, Kelley! I love the bourbon flavor in here, too. I think I would slather this on just about anything, it sounds so good! Boubon and barbecue may be the best combination ever! I want to spread this over chicken and beef. Delicious! I bet this sauce is awesome over grilled chicken. It sounds perfect. 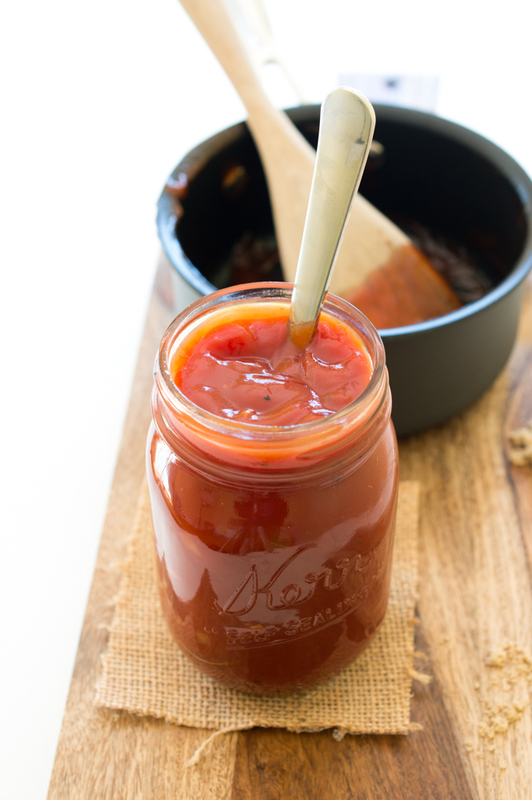 Homemade BBQ sauce is the best, and this one looks delicious! YUM. 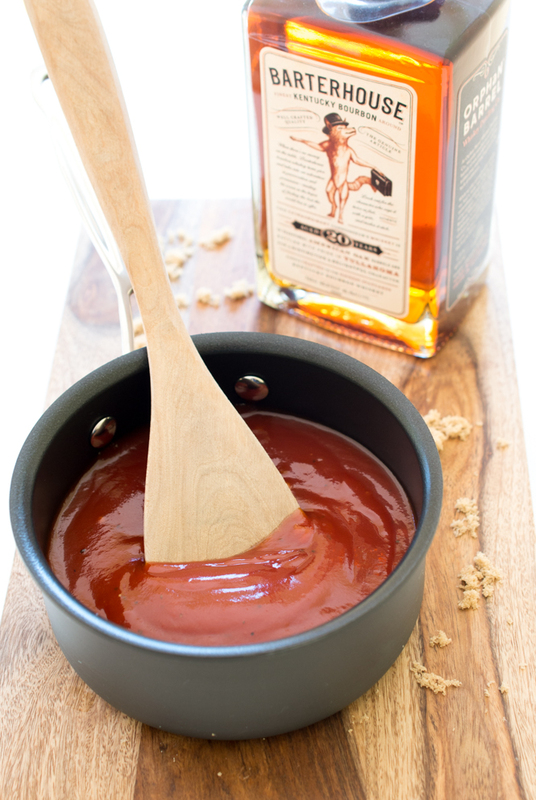 A bourbon flavoured barbecue sauce sounds divine. 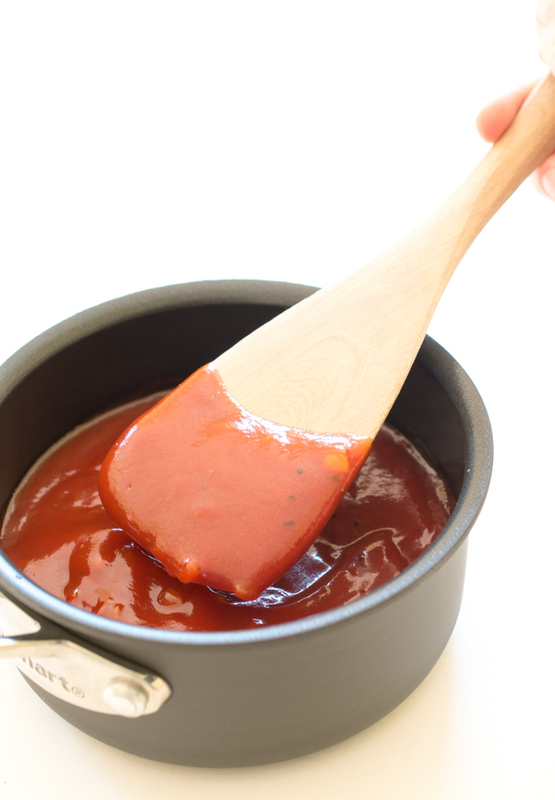 I love different types of barbecue sauce – this one looks amazing. This will be perfect for summer grilling! Very good recipe. I made a 10x and 20x recipe and the only addition needed was more sugar. Just made this and it’s the best bourbon bbq I’ve tried so far. I plan to use this on chicken wings and also fresh grilled salmon. Thank you. I made this per recipe. It has one of the best flavors I have experienced. 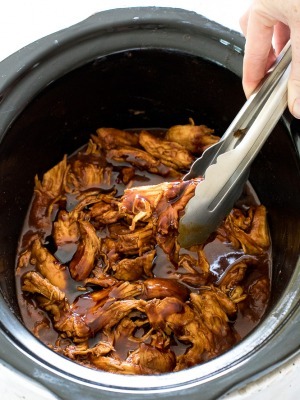 I used it for your Slow Cooker Barbecure Chicken recipe. I had only 1 2/3 lb. chicken and cooked on low. It was more than done in 3-4 hours (maybe a hot cooker) and it burnt around the edges. I think doubling the recipe for the slow cooker would work better. Thank you for the recipe. Can this sauce be preserved by canning in a hot water bath? I haven’t tried canning this recipe before so it is hard to say for sure. Sorry I couldn’t be of more help! I didn’t need a large portion so I eyeballed the measurements and I use apple crown royal. It’s absolutely delish. Well use this recipe again! I’ll have to try it with the crown apple, that sounds good!